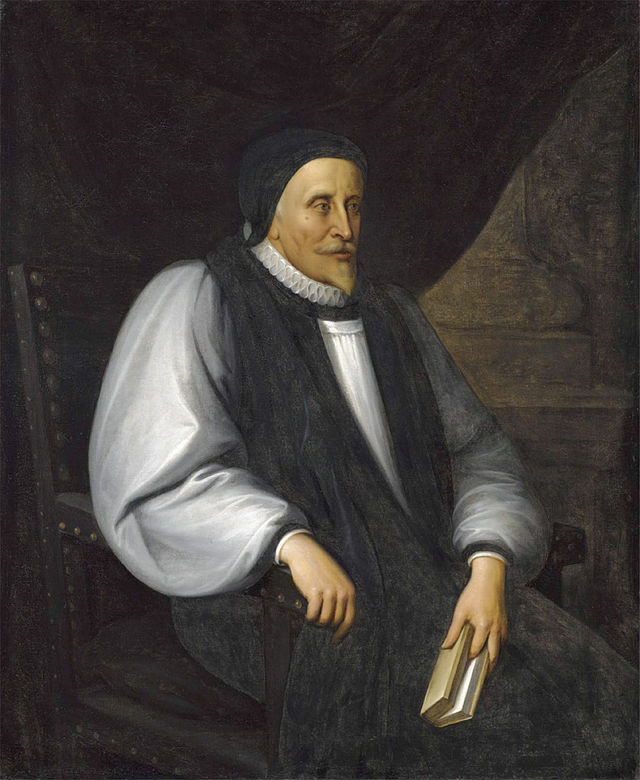 Among the great teachers of Christian Spirituality within the Anglican tradition is the Blessed Lancelot Andrewes. Bishop Andrewes was by any standard, an exceptional man. Born in London in 1555 A.D., the eldest of 13 children of a merchant/sailor, as a child he exhibited the habits of a serious scholar, disciplining himself to study daily, uninterrupted, from 7 AM to Noon. At Cambridge, he studied Greek, Latin and Hebrew, receiving his first degree in 1571 A.D., followed by a masters at Oxford in 1581 A.D. He spoke and wrote in Aramaic (the language Jesus spoke), Syriac, Arabic, Latin, Greek and Hebrew, and 15 modern languages. He taught courses in the Catechism and the Ten Commandments at Cambridge University, was chaplain to Queen Elizabeth I and her successor, James I, and chairman of the committee responsible for the first twelve books of the Old Testament (Genesis to 2 Kings) for the King James Version (1611 A.D.)He held nearly all the honors possible in the Church of England, short of being Archbishop of Canterbury: Dean at Westminster (1601 A.D.), Bishop of Chichester (1605 A.D.), Bishop of Eley (1609 A.D.) and still later Bishop of Winchester, a post he held until his death in 1626 A.D. The Church of England celebrates his Feast Day on September 25th. The illustration is an oil on canvas in the English style, c. 1660, artist unknown. Andrewes was among the first in the Western Church tradition to understand that Spirituality and Theology (from two Greek words, Theos (God, or the One who sees), and logos, meaning word, are not mutually exclusive. He saw theology as a way to gain a vision of God (or, as St. Peter wrote, a way of partaking of the divine nature (2 Peter 1:4)). He believed that liturgical worship was not an end in itself but a means toward combining the concept of time, an exclusively human understanding, with the concept of eternity, a state occupied only by God. Blessed, praised, celebrated, magnified, exalted, glorified, and hallowed by Thy name, O Lord; Great and marvellous are Thy works, Lord God Almighty; just and true are Thy ways, Thou king of saints; Praise our God, all ye His servants, and ye that fear Him, both small and great. Alleluia. This material is excerpted from the forthcoming AIC publication, edited by Fr. Ron Shibley, Christian Spirituality: An Anglican Perspective, to be published in paperback and Kindle versions in time for Advent A.D. 2014.